Prof. of Environmental science at Stockholm Resilience Centre at Stockholm University in Sweden. The Stockholm Resilience Centre has just produced a beautiful new booklet that outlines seven principles for applying resilience thinking. Each principle is presented along with an example of how it has been applied. The booklet builds on a in-depth, multi-year comprehensive review of the resilience literature conducted by the Resilience Alliance Young Scholars network. The first product of this review was a 2012 paper by Oonise Biggs and others “Towards principles for enhancing the resilience of ecosystem services” in Annual Reviews of Environment and Resources (2012), and now a book “Principles for Building Resilience: Sustaining Ecosystem Services in Social-Ecological Systems” that will be published by Cambridge University Press later this year. Oonsie Biggs and company will be running a session on their book at the Resilience 2014 conference, on Tuesday 6 May, 11:30-12:30. Karl Marx had modes of production, Emile Durkheim had collective consciousness; Max Weber wanted … nothing of this sort. He believed it was foolish to assign supra-individual entities a causal force in human history. Weber marshaled two innovations to stay clear from the ‘fallacy of misplaced concreteness’ (Whitehead 2011 ), i.e. mistaking the abstract for the concrete. First of all, he grounded his sociology in the German hermeneutic tradition of interpretation of interpersonal social interactions (‘verstehen’). The hermeneutic tradition differentiates between the study of nature and the study of society, suggesting that, “while we can ‘explain’ natural occurrences in terms of the application of causal laws, human conduct is intrinsically meaningful, and has to be ‘interpreted’ or ‘understood’ in a way that has no counterpart in nature” (Giddens 2001 : ix). This distinction between the social and natural, captured in the concept of the “double hermeneutic” (i.e. the ‘object’ of the social sciences is also a ‘subject’) prominently developed by British sociologist Anthony Giddens, has remained a central problem for the study of human-nature interaction. The expanding range of approaches to human-nature interaction, including social-ecological systems, sustainability science, cultural geography, political ecology, anthropology, environmental humanities, etc. all address this dilemma in different ways. Interestingly (particularly for social-ecological research), Weber did not think that a deep engagement with subjective human interpretation would make (social) science relativistic, or preclude causal explanation. Knowledge of the motives and rationalities that trigger people to act would, for Weber, still allow a causal explanation of human behaviour, but leave out any metaphysical extra-individual entities. He was strongly committed to the hermeneutic tradition, but at the same time endorsed the positivist ideal of a generalizing, parsimonious science. With this definition of sociology Weber elegantly overcame the two opposite positions in the so-called ‘methodenstreit’ (or ‘methods dispute’). Aware of the ambitious standards that he set himself, he knew that it would often (if not always) be impossible to lay bare the multi-causal and complex interactions between the material and ideal worlds, the individual, the collective and the environment. He therefore – and this is Weber’s second major innovation – insisted that his analysis was not complete explanation, and only traced “one side of the causal chain” (Weber 2001 :125). He termed such ‘one-sided’ or ‘accentuated’ analysis ‘ideal-typical’, and the concepts it engaged ‘ideal-types’. Weber’s most famous academic work, The Protestant Ethic and Spirit of Capitalism (1904), is a perfect example of an analysis through the use of ideal-types. 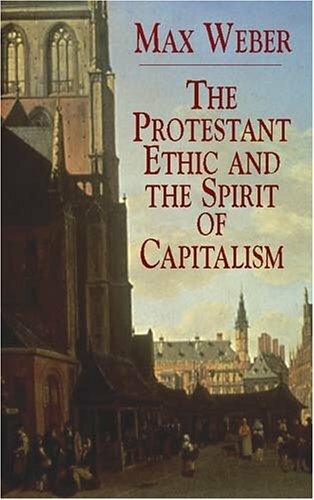 The book traces the ideological basis (the spirit) of capitalism in the development of a protestant ethic in 15th century Europe. Weber was of course aware of the material origins of capitalism (his work has been described as a life-long debate with the ghost of Marx) but he in contrast focused on the ideas and rationale that produced capitalism. The book leaves implicit Marx’s legacy to identify the causal force of human interpretation in social-economic history. The book’s thesis is that the ‘capitalist spirit’ emerged from an austere ethic that Weber attributes to ascetic Protestantism, especially Calvinism, where beliefs in predestination, the idea of a ‘calling,’ and attribution of value to hard work established the pursuit of profit as inherently virtuous. Gradually the pursuit of profit transformed from being a means of salvation to becoming an end in and of itself; the protestant ethic became the capitalist spirit. The Puritan wanted to work in a calling; we are forced to do so […]. This order is now bound to the technical and economic conditions of machine production which from day-to-day determine the lives of all the individuals who are born into this mechanism, not only those directly concerned with economic acquisition, with irresistible force. Perhaps it will so determine them until the last ton of fossilized coal is burnt.” (Weber 2001 : 123). In direct connection to the above quote Weber invokes the image of an ‘iron cage’ as a metaphor for the stultifying rationalization of everyday life. 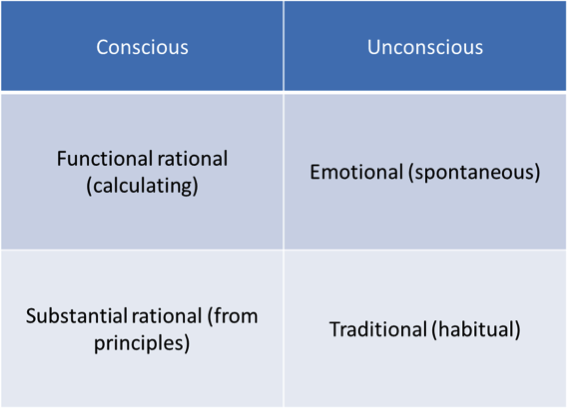 According to his own ideal-typical typology of motivations of social action, a functional rationality (means-ends deliberation) gradually superseded and colonized alternative motivations, such as value rational, traditional and emotional motivations for action (Kalberg 1980). Characteristically, Weber did not see these motivations as operating exclusively and separately, but rather co-evolving in different arenas of human life at different speeds and scales. Weber’s typology of rationality. Table by Wijnand Boonstra. Our class discussions revolved around the different ways that particular types of rationality shape human interaction with the environment today. As Giddens (2001 ) points out, Weber’s work as a whole can be interpreted as a study of the divergent ways in which this rationalization of culture has taken place around the world – Weber published enormous and still influential texts on the major ‘world religions,’ including ancient Judaism, Hinduism and Buddhism. Environmental historians (see for instance Robert Mark’s China: Its Environment and History or William Cronon’s Nature’s Metropolis) are increasingly unpacking the effects of these different forms of cultural rationalization on social-ecological interaction at the macro-scale. The value of Weber’s ideas for social-ecological systems research is not easily overstated. Weber’s focus on inter-subjective interpretation influenced symbolic interactionists like Erving Goffman, who examined the meanings and frames of interpersonal interaction and understanding (Goffman 1974). In turn, Goffman’s work has prompted contemporary social theorists like Manuel De Landa to construct the social from networks and assemblages founded on personal interaction (De Landa 2006). Weber’s ideas also resonate with recent work in cognitive science. George Lakoff, for instance, argues that individual ‘frames’ – mostly unconscious schemas including semantic roles, relations between roles, and relations to other frames – determine how we perceive and respond to environmental change (Lakoff 2010). While Lakoff does not cite Weber, they share sensitivity to the invidious and restrictive ways that subconscious frames, perhaps constitutive of an ‘ethic’ or ‘spirit,’ shape our everyday social, individual and even ecological experience. Could Weber’s typology of rationality and associated forms of social action offer inspiration for thinking about social-ecological networks and SES modelling? Max Weber completes the triumvirate of the classic ‘founders’ of sociology, and it is also with him that we reach the end of this course. We hope this course can spark a wider exploration of the exciting theoretical options open to sustainability scholars. On which shoulders do you stand? The increasing willingness of sustainability scholars to excavate the classics to prompt new thinking of human-nature interactions may perhaps lead to a new generation of great theoretical synthesizers. De Landa, 2006. A New Philosophy of Society: Assemblage Theory and Social Complexity. London: Continuum. Giddens, A., 2001. Introduction. In: Weber, M. 2001 .The Protestant Ethic and the Spirit of Capitalism. London and New York: Routledge. Goffman, E., 1974. Frame Analysis: An Essay on the Organization of Experience. New York: Harper & Row. Lakoff, G., 2010. Why it Matters How We Frame the Environment. Environmental Communication: A Journal of Nature and Culture 4(1): 70 – 81. Kalberg, S., 1980. 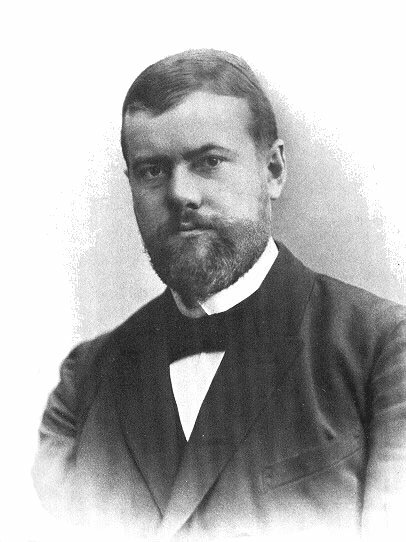 Max Weber’s Types of Rationality: Cornerstones for the Analysis of Rationalization in History. American Journal of Sociology 85(5): 1145 – 1179. Weber, M. 2001 .The Protestant Ethic and the Spirit of Capitalism. London and New York: Routledge. Weber, M. 2007 . Objectivity in social science. In: Calhoun et al. (eds.) Classical Sociological Theory. London: Blackwell. Whitehead, A.N. 2011  Science and the modern world. Cambridge, University Press. Cambridge. March 10th is the last day for early Registration for Resilience 2014! Resilience 2014 is this year’s open Resilience Science conference in Montpellier, France – running from May 4-8th. It follows up on the successful Resilience 2011, in Tempe, Arizona and Resilience 2008 in Stockholm, Sweden. I and many of my colleagues are planning to attend, and I believe it should be a fun, provocative, and diverse conference. Old Durkheim was used to taking blows, right from the day of his PhD defense in 1893. His dissertation, later published as The Division of Labour in Society, was turned down twice. The third time he got it through, but not without serious objections. Durkheim was criticized for treating “the evolution of morality as inexorably determined by social causes”(Giddens 1978, 34) – and consequently for replacing God with a deified ‘society.’ Since then critique of Durkheim’s work never ceased. He threw himself into the fray, engaging in public intellectual battles with many of his adversaries. But, how did he fare posthumously in the lion’s den of the SRC’s Resilience Research School? Durkheim is deemed responsible by some for leading sociology down the wrong theoretical track, especially with his emphasis on ‘social facts’. Bruno Latour, for example, argues that there are no discrete social totalities such as ‘social facts’, let alone ‘collective consciousness’. Instead, citing Margaret Thatcher’s famous line that there is “no such thing as society,” Latour proposes multiple, overlapping, contradicting networks of people and things as a more fitting object for social science (Latour 2005). According to Latour social science would be in a better condition today if it had listened more closely to the individualist sociology of Durkheim’s nemesis Gabriel Tarde. Durkheim is also taken to task for denying the influence of natural environments on the development of societies. He is held responsible for establishing the so-called ‘human exceptionalism paradigm’ (Catton and Dunlap 1978; Dunlap and Catton 1979) that dominated the development of the social sciences during most of the 20th century. In this interpretation Durkheim was so preoccupied with establishing sociology as an independent scientific discipline, he purified it from all biological, psychological, and ecological explanations. ‘Social facts can only be explained with other social facts’ as his famous dictum has it. […] even if society is a specific reality it is not an empire within an empire; it is part of nature, and indeed its highest representation. The social realm is a natural realm which differs from the others only by greater complexity” (Durkheim 1912 : 18). Remarks that sound surprisingly up-to-date in light of contemporary attempts to capture the co-production of nature and society: ‘novel ecosystems’ (Hobbs et al. 2013); ‘new natures’ (Jorgensen et al 2013); ‘environing’ (Sörlin and Warde 2009); ‘niche-construction’ (Odling-Smee et al. 2003). But to brand Durkheim as an early ecological sociologist would be going too far. As argued last week, that honor is better bestowed on Marx. Discussions in class focused most on what Durkheim meant with his elusive and thought-provoking concept of ‘social fact’. From the second preface to The Rules of Sociological Method it becomes clear that this term was considered controversial immediately after its introduction in 1895. Here Durkheim goes to considerable lengths to defend it, pointing out misinterpretations and offering clarifications. 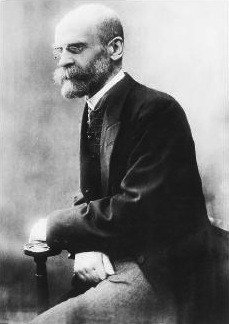 Critics had problems accepting that a social fact, according to Durkheim, exerts an “external constraint” over individuals. Was he not reifying social facts as something above and beyond individuals? In the preface Durkheim points out that social facts are real because they make themselves “felt” and “reckoned with”, and they “are never completely overcome” (1895 , 44). “The individual encounters them when they are already completely fashioned and he cannot cause them to cease to exist or be different from what they are” (idem, 45). In the remaining argument Durkheim also explains how the “individual plays a part in their creation [of social facts]”, and that we do not “receive them passively and without causing them to undergo modification”, but that “different people adapt themselves differently to social facts” (idem, 47). At the end of the text Durkheim makes a useful and interesting comparison. He points out (with reference to his nephew Marcel Mauss) that social facts “moderately well” resemble institutions (idem, 45). The concept of ‘institutions’ is well established in sustainability science through the work of Elinor Ostrom. She defines institutions as “the prescriptions that humans use to organize all forms of repetitive and structured interactions” (Ostrom 2005, 2). Now compare her definition against Durkheim’s definition of institutions as “collective ways of acting and thinking” (1895 , 45). In Ostrom’s definition institutions seem to imply that institutions are tools that people use with the intention to organize social life. Durkheim casts his net much wider, and includes besides intentional, deliberate social action also more tacit, unconscious socially shared habits of thought and action. Would perhaps Durkheim’s understanding, compared to Ostrom’s focus on intentional action, lend itself better to account for the unplanned and unanticipated effects of people’s social actions? A lot more can be said about the definitions of institutions. But not right now (instead see Hodgeson 2006), because Max Weber is waiting. Catton, W. R., & Dunlap, R. E. 1978. Environmental sociology: A new paradigm. The American Sociologist 13: 41-49. Dunlap, R. E., & Catton, W. R., Jr. 1979. Environmental sociology. Annual Review of Sociology 5: 243-273. Durkheim, É. 1893 . The division of labor in society. New York: The Free Press. Durkheim, É. 1895 . The rules of sociological method. New York: The Free Press. Durkheim, É. 1912 . The elementary forms of religious life. London: Allen & Unwin. Giddens, Anthony (1978) Durkheim. Glasgow: Fontana. Gross, M. 2000. Classical sociology and the restoration of nature: The relevance of Émile Durkheim and Georg Simmel. Organization and Environment 13 (3): 277-291. Hobbs, R.J., Higgs, E.S., Hall, C. 2013. Novel ecosystems: Intervening in the new ecological world order. London: Wiley Blackwell. Hodgeson, G.M. 2006. What are institutions? Journal of Economic Issues 40 (1): 1-25. Jørgensen, F. A., Jørgensen, D. and Pritchard, S. 2013. New natures: Joining environmental history with science and technology studies, Pittsburgh: University of Pittsburgh Press. Odling-Smee, F. J., Laland, K. N., and Feldman, M. W. 2003. Niche construction: the neglected process in evolution (No. 37). Princeton: Princeton University Press. Sörlin, S., and Warde, P. 2009. Nature’s end: History and the environment. Basingstoke: Palgrave Macmillan. Classics of Social Science 1: Karl Marx the first ecological sociologist? Reflections on Week Two of the Resilience Research School PhD course, ‘Why Bother with Durkheim? Using (classical) social science to understand the social dynamics of social-ecological systems. (previously Week One – why study classics). Karl Marx from Wikimedia Commons. There is almost certainly no social scientist whose reputation precedes them as much as Karl Marx. Indeed, his reputation precedes him to the extent that many people would not even think of him as a social scientist. This is troublesome for young interdisciplinary researchers – the ‘intimidation factor’ is enormous. However, this fear factor does not only, or perhaps even primarily, come from Marx himself, but from his coterie of followers and interpreters. Autonomist Marxism, Marxist Humanism, Analytical Marxism, Cultural Marxism, Structural Marxism, Marxist Theology, not to mention fields that borrow heavily from Marxist critique such as political ecology and critical theory – the extensive knowledge and passion that Marx-inspired sub-fields bring to the surface demonstrate his continued vitality, but also alienate many who might be surprised by the content of Marx’s original texts. We did not attempt a close reading of Marx’s chapter, a la David Harvey (who once dedicated almost a whole class to a single footnote! 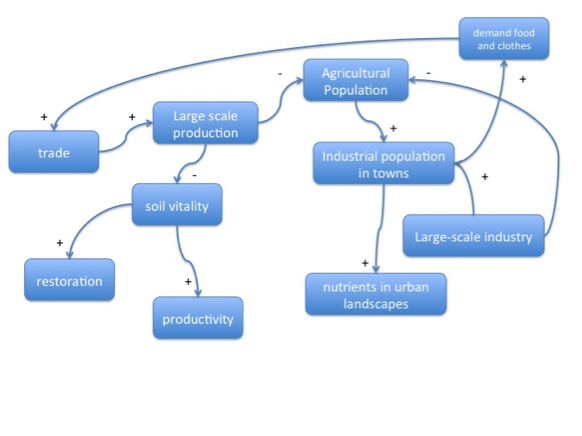 ), but rather used it as a springboard to identify potential areas of use for social-ecological systems research. Course organiser Wijnand Boonstra set the scene in an introductory lecture outlining Marx’s personal and social context, including his lifetime friendship and collaboration with Friedrich Engels, “Marx’s general”. Marx remarks in his infamous footnote (see above) that, “a critical history of technology would show how little any of the inventions of the eighteenth century are the work of a single individual.” The same is true for the products of 19th century social science. How could two young men who had no personal experience of industrial exploitation write about the debilitating effects of capitalism on the poor with such accuracy? An intriguing article published last year suggests an answer may be found in the sharp intellect and companionship of Engel’s working-class companion Mary Burns. It is thought that Mary, believed to be a prostitute by some historians, guided Engels through the slums of Manchester, providing him with an immersive experience of the poor that otherwise would have been impossible for the son of a wealthy mill-owner. In the subsequent discussion groups, we moved from the complex, unpredictable and dynamic interactions of interpersonal history to the equally complex and adaptive relationships between humans, machines, work and nature through time. “Labour is, first of all, a process between man and nature, a process by which man, through his own actions, mediates, regulates and controls the metabolism between himself and nature. He confronts the materials of nature as a force of nature. He sets in motion the natural forces, which belong to his own body, his arms, legs, head and hands, in order to appropriate the materials of nature in a form adapted to his own needs. Through this movement he acts upon external nature and changes it, and in this way he simultaneously changes his own nature … It [the labour process] is the universal condition for the metabolic interaction [Stoffwechsel] between man and nature, the everlasting nature-imposed condition of human existence, […]” (Marx 1976 : 283, 290). Marx, using the ecological crisis of large-scale soil degradation in United Kindgom during the first half of the 1800s, identified a ‘rift’ in this metabolism. Prior to industrialization soil nutrients were replaced by rural populations living off the land. But with the invention of Watt’s coal and water-fuelled, double-acting steam-engine, machines became mobile and “permitted production to be concentrated in towns instead of being scattered over the countryside” (Marx 1976 : 497-498). The English countryside depopulated while in crowded London nutrients were washed away in the Thames. This ‘rift’ – produced by growing differences between the urban and rural – supported Marx’s broader claim that capitalism is inherently self-destructive. It was suggested in the discussion groups that a ‘rift’ between humans and nature has been postulated in many academic traditions. However, the temporal location of this rift varies – for some, perhaps Marx, the origin of the rift emerged the moment humans began to modify their environment through culture (yet only became problematic during the second industrial revolution). Others, such as the environmental historian Donald Worster, might associate it with the European discovery of the Americas in the 15th and 16th centuries. Earth system scientists on the other hand have suggested the ‘great acceleration’ of the second half of the twentieth-century. Discussion turned towards the Stockholm Resilience Centre’s own plea for a ‘Reconnection to the Biosphere’ – and where and how, given Marx’s understanding of social-ecological metabolism, this ‘reconnection’ should take place. Should emphasis be placed on personal epiphanies and behavioural change? Should it be aimed at changing government policy or encouraging grass-roots innovation? Should it be geared towards challenging dominant power structures? Discussants were united in expressing surprise at just how prescient Marx’s observations regarding human-environment relations were. Indeed, some sentences could conceivably have been used in the Brundtland Report (1987): “Even an entire society, a nation, or all simultaneously existing societies taken together, are not owners of the earth. 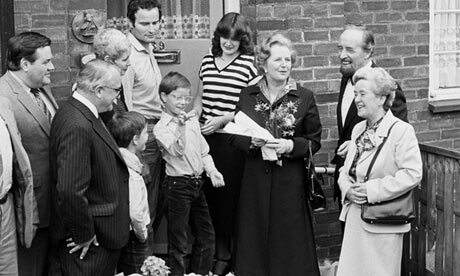 They are simply its possessors, its beneficiaries, and have to bequeath it in an improved state to succeeding generations as boni patres familias [good heads of the household]” (Marx 1959 : 530). Of course, the authors might have struggled getting such policy traction with a document explicitly quoting Marx! What might the concept of social-ecological metabolism be useful for and what might it leave out? It was posited in class that the concept of ‘metabolism’ might be a useful way of understanding how the ‘social’ and ‘ecological’ components of SES interact and transform each other, and indeed some work has already been done using the concept of metabolism to understand human impacts on the earth system in the Anthropocene. SRC Professor Garry Peterson suggests that while metabolism might work for biogeochemical issues, complex systems approaches, which focus on populations, heterogenity and diversity, are more useful for thinking about many of the novel aspects of the anthropocene, such novel ecosystems. On the other hand, it might be intriguing to explore new kinds of ‘rift’ in a globally connected world, such as the concept of teleconnected vulnerabilities. Establishing such bridges and disconnects between academic traditions was precisely the type of debate we hoped the course would provoke. As a systems thinker, Marx believed that history progressed through revolutionary, cyclic change. A very related idea was later captured with the term “punctuated equilibrium” (Gould and Eldredge 1977). Often labeled a simple determinist because of his emphasis on the defining force of materiality on the social, Marx actually advocated a more subtle co-evolution between nature and culture, which Engels, in a letter written after Marx’ death, explains as follows: “The political, legal, philosophical, literary, and artistic development rests on the economic. But they all react upon one another and upon the economic base. It is not the case that the economic situation is the sole active cause and everything else is merely a passive effect” (Engels 1894 in Elwell 2008: 22). Here it is the interaction between the material and the ideational that produces social change. Class discussants identified parallels and disconnects between this cyclic vision of human history and the adaptive cycle & panarchy heuristics used in resilience research. Both approaches, to some extent, embrace a fatalistic approach to change and disorder. Still, both approaches seem to leave some room for agency, although perhaps in Marx’s case implicitly. “Men make their own history, but they do not make it as they please; they do not make it under self-selected circumstances, but under circumstances existing already, given and transmitted from the past.” (Marx 2007 : 112). Attention in resilience research is increasingly turning explicitly to individual and collective agency to understand the dynamics of transformation in social-ecological systems. Course participants imagined how Marx would interpret current attempts to ‘reinvent the system’ towards more sustainable trajectories. Transition towns as a movement to heal the metabolic rift, or as a bourgeois hobby? Ecosystem services as product of capitalism, or revolutionary re-valuation of capital? Whether these initiatives contain the seeds of transformation or become colonized by a capitalist system would, according to Marx, probably depend on their historical, dialectic relations, which are uncontrollable. In Marx’s work you won’t find any descriptions of social-ecological systems, or causal loop diagrams that highlight its inner workings [See Figure 2 for an attempt by course participant Diego Galafassi to work through the concept of ‘metabolic rift’ using a causal loop diagram]. Instead he points out crucial elements – labour objects; nature; technology; society; mentalities; human nature – that form concatenating relations and shape human history. These interactions are forever changing – an understanding he adhered to since his PhD thesis on Epicurus – symbiotic and parasitic at the same time. Figure 2: An interpretation of the concept of ‘metabolic rift’ as a causal loop diagram by course participant Diego Galafassi. Marx also applies dialectics – thinking in inherent contradictions – to (scientific) hermeneutics. “It is characteristic of the entire crudeness of ‘common sense,’ […], that where it succeeds in seeing a distinction it fails to see a unity, and where it sees a unity it fails to see a distinction. If ‘common sense’ establishes distinction determinations, they immediately petrify surreptitiously and it is considered the most reprehensible sophistry to rub together these conceptual blocks in such a way that they catch fire” (Marx in Ollman 2003: 77). ‘Rubbing conceptual blocks’ captures eloquently what we now would understand as interdisciplinary science. Does this mean that we are on our way to transdiscplinarity after all? Elwell, F. 2008. The sociology of Karl Marx. Chapter 1 in Macrosociology. The study of sociocultural systems. The Edwin Mellen Press: New York. Pp. 15-40. Gould, S.J. and Eldredge, N. 1977. Punctuated equilibria: the tempo and mode of evolution reconsidered. Paleobiology 3 (2): 115-151. Marx, K. 2007  The eighteenth Brumaire of Louis Bonaparte. In: Calhoun, C., Gerteis, J., Moody, J. Pfaff, S. and I. Virk. Classical Sociological Theory. Second Edition. Blackwell Publishing: Oxford. Pp. 112 – 121. Marx, K. 1976  Capital. A critique of political economy. Volume I. London: Penguin Books. Marx, K. 1959  Capital. The process of capitalist production as a whole. Volume III. New York: International Publishers. Ollman, B. 2003. The dance of the dialectic. Steps in Marx’s method. Urbana and Chicago: University of Illinois Press. Below are an interesting excerpt from an interview of Kim Stanley Robinson, a Californian sustainability oriented science fiction writer, in Boom Magazine. Boom: But, as you’ve said, all of California in some ways has been terraformed. It’s not natural in the way we usually conceive of natural. Are we as gods, as Steward Brand famously proclaimed, so we better get good at it? Robinson: California is a terraformed space. I think we have accidentally become terraformers, but of course we are not gods. We don’t actually know enough about ecology, or even about bacteria, to do what we want to do here. We could make environmental changes that could do damage that we can’t recover from, so it’s dangerous. We’re more like the sorcerer’s apprentice. We can do amazing things on this planet, out of hubris, and partial ignorance, and yet we are without the powers to jerk the system back to health if we wreck it. If ocean acidification occurs, we don’t have a chance to shift that back. So we’ve accidentally cast ourselves into this role by our scientific successes, but we don’t have the power to do what we need to do, so we need to negotiate our situation with the environment. The idea that we’re living in the Anthropocene is correct. We are the biggest geological impact now; human beings are doing more to change the planet than any other force, from bedrock up to the top of the troposphere. Of course if you consider twenty million years and plate tectonics, we’re never going to match that kind of movement. It’s only in our own temporal scale that we look like lords of the Earth; when you consider a longer temporality, you suddenly realize we’re more like ants on the back of an elephant. By no means do we have godlike powers on this planet. We have a biological system we can mess up, a thin wrap on the planet’s surface, like cellophane wrapping a basketball. But there is so much we don’t know. You can do cosmology with more certainty than ecology. Boom: Speaking of terraformed, the Delta, where you live here in Davis, is a great example of a terraformed landscape. Robinson: It’s kind of great. It’s troubled, but I think it’s still beautiful. I like these human-slash-natural landscapes. I like terraformed landscapes. The Central Valley has been depopulated of its Serengeti’s worth of wild creatures, and that’s a disaster. But you could do amazing agriculture in the Central Valley and add wildlife corridors, where the two could coexist in a palimpsest, big agriculture and the Serengeti of North America, occupying the same space. And then it would be that much more interesting and beautiful. If you went out there to the edge of Davis now, you would see nothing in terms of animals. But if you went out there and it was filled with tule elk and all the rest of the animals and birds of the Central Valley biome, occasionally a bear would come down out of the hills; and, well, you couldn’t run alone out there, because of the predators. You’d have to run in a group. But humans are meant to run in groups. The solo thing is dangerous. So it would all come back to a more natural social existence. This is the angle of utopianism that I’ve been following. It’s a kind of natural-cultural amalgam, whereas utopian literature historically was mostly a social construct, and it was kind of urban. Utopia was thought of as a humanist space, but when you think of humans as part of a much larger set of life forms, then you get to a utopia that includes it all and is a process. I haven’t actually written the novel that would put all of this together, because each of my novels has been a different part of the puzzle and a different attempt at it. So I keep having an idea for the book yet to come. Seems like I might start another one like that sometime soon. California is a terraformed space. A guest post form Simon West, from the Stockholm Resilience Centre, at Stockholm University. This Thursday we began a new 5-week PhD course at the Resilience Research School (RRS). “Why bother with Durkheim?’ will introduce PhD students at the Stockholm Resilience Centre (SRC) to some classical social science thinkers – Karl Marx, Max Weber, Emile Durkheim, and Thorstein Veblen. Each class will encourage students to extrapolate the insights of a classical thinker to understand the social dynamics of social-ecological systems (SES). The plan is to run the course in future semesters with a changing roster of ‘classics’ each time. 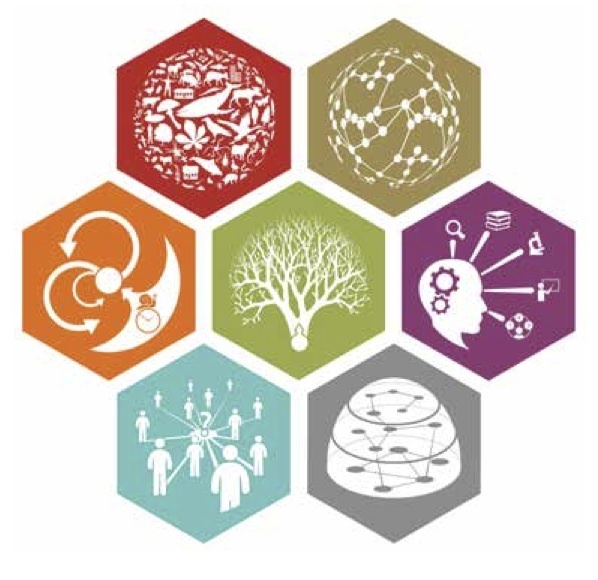 We will be summarizing class discussions in a weekly blog post here on Resilience Science, with the aim of widening the discussion beyond the RRS to the international community of resilience and sustainability researchers. This week – why bother with ‘the classics’ at all? Our aim through this course, however, is to change the perception of the classics as curiosities of a bygone age, and demonstrate their relevance to the study of social-ecological systems. Indeed, the increasing willingness and need for social and natural sciences and the humanities to work together, for example to examine processes of global environmental change in the Future Earth research programme, suggests that interdisciplinary sustainability researchers will need to become much more familiar with the classics in the years to come. As Michel Foucault (1980) has indicated, there is no better tribute to a classic than to “use it, deform it, make it groan and protest.” We look forward to the various deformations applied by course participants in the coming weeks, coming from such varied backgrounds as ecology, literature, industrial engineering, political science, computer science and modeling, and development studies. What are the social science ‘classics’? Understanding ‘the classics’ is essential for grasping not only some of the core debates in the social sciences, but also the conceptual tools used by social science research to produce knowledge. But what are the classics? Alexander (1987: 22) defines classics as “earlier works of human exploration which are given a privileged status vis-à-vis contemporary explorations in the same field.” For Alexander privileged status means that, “contemporary practitioners of the discipline in question believe that they can learn as much about their field through understanding this earlier work as they can from the work of their own contemporaries.” The classics of sociology (the disciplinary focus for the coming lectures) are generally thought of as the works of Karl Marx, Emile Durkheim and Max Weber. But these ‘big three’ are often complemented by a host of other thinkers that are cited as ‘minor’ classics in the social science canon, e.g. August Comte, Georg Simmel, Talcott Parsons and Robert Merton. What makes a classic classic? The factors that determine which books and thinkers becomes classic and which are simply forgotten are multiplex. In fact there is a whole sub-field of research on this topic – Reception Theory. As Baehr (2002: 111) notes, to find answers we must not look at classicality as a quality inherent to particular works but rather “as a dialectic in which the text, its evaluation and re-evaluation define what is exemplary.” There are several crucial factors that help to explain the development of classics’ privileged status. Firstly, death. Dead authors are less likely to compete with others for prestige and academic standing, and therefore living academics can valorize them without fear of being superseded. Death also signifies the passing of time, which provides context to works and separates classic work from the chaff. Death also prevents authors from ‘fighting back’ against the dispersion, re-interpretation and appropriation of their work – all necessary components for the spread and use of ideas. Stinchcombe (1982: 3) joked that aspiring social scientists therefore better first find “a dead German who said it first” before they publish anything. Secondly, cultural resonance. Texts do not become classic simply because they are ‘better’ or ‘truer’ than others, but because they are provocative and strike a chord about enduring aspects of human existence. Merely providing solutions to a discrete problem may prevent a text becoming a classic because it provides “no challenges for contemporaries to embrace and successors to ponder” (Baehr 2002: 118). So classics become classics because of the questions they pose and the mistakes they make, as much as the answers they provide. For instance Durkheim’s 1894 book The Rules of Sociological Method is widely regarded as a classic – yet it is just as widely panned. Indeed, it has been criticized and demolished repeatedly for over one hundred years because of the usefulness of its mistakes. Finally, textual suppleness. Texts must contain enough ambiguity to mean different things to different people in different situations. As this is a course at the SRC, we can say that they must have the ability to adapt to change through transformation – they must be resilient. Why are there no natural science classics? The idea of providing privileged status to works published over one hundred years ago would seem bizarre to many natural and interdisciplinary sustainability scientists. You do not hear SRC researchers continually debating and publishing on what Norbert Wiener ‘really meant’ in his 1948 complex systems classic, Cybernetics, or Control and Communication in the Animal and the Machine. Most will have never heard of Wiener. Why not? The classics highlight the predominantly discursive character of the social sciences. Alexander (1987: 22-23) argues that social sciences proceed primarily through argument and reasoning rather than through prediction or attempts at verification or falsification. This reasoning is conducted at a greater level of generality and speculation than normally takes place in the natural sciences (see Baehr 2002: 82). This is not because the social sciences are inherently more discursive than the natural sciences. It is widely accepted in the philosophy of science that knowledge produced by natural science relies on similarly metaphysical assumptions, but the natural sciences are simply better at hiding their discursive elements. These assumptions can be black-boxed and ‘normal science’ can progress through debate purely about the operational elements of research (see Kuhn 1970), without the need for classics. Some would argue that the social sciences should therefore just ditch the classics and follow the model of the natural sciences. Indeed, this narrative was what motivated many early founders, and classics, of sociology – especially Durkheim. But to do this, argues Alexander (1987), would be to run away from the crucial problems that face the social sciences in the first place: the non-linear, complex and essentially discursive dynamics that drive human social behavior and shape human knowledge. Instead of modeling the study of social dynamics on the natural sciences, sustainability researchers should perhaps embrace the classics – in search of novel ways of knowing and becoming truly transdisciplinary. What is the use of the social science classics for the study of social-ecological systems? Firstly, the classics deal with key questions concerning the dynamics of social change, the origins of social action, the (in)stability of social systems – all essential for analyzing social dynamics today. Knowing the classics helps interdisciplinary sustainability researchers to avoid past mistakes and stimulates new hypotheses. Secondly, the treatment of human-nature relationships in the classics has fundamentally shaped the academic landscape of today – take for example the influence of Marx in political ecology and the lineage of Durkheim’s functionalist approach in systems theory. Study of the classics can therefore help to contextualize social-ecological systems approaches in the wider academic terrain and help researchers to grasp the context of criticisms relating to, for example, the supposed neglect of power relations and conflict in social-ecological systems research. Thirdly, while social-ecological systems research has long recognized the desirability of becoming trans-disciplinary, it is fair to say that SES research to date has been driven by researchers versed primarily in the natural sciences. However, the concept of the Anthropocene and the role of humans in generating global environmental change is mobilizing closer collaboration between social scientists, humanities researchers and natural scientists. Classics literacy among sustainability researchers will enhance ability to collaborate productively. Such intermingling of epistemological traditions offers real potential to create new ways of thinking and knowing the Anthropocene. Fourth, study of the classics prompts sociological interpretation of social-ecological systems research. While in many ways transcending the origins of their birth, the classics came from somewhere at some time. Durkheim posed his central question, ‘what social bonds hold men together?’ in a cultural climate where fear of societal collapse was widespread. Indeed, sociology as a discipline emerged through attempts to understand mass transformation in human organization and relationships with nature (including the rise of capitalism and industrialism). Durkheim’s personal fears about the imminent collapse of society arguably led to a conservative approach focused on maintaining social order. Reflection on the social factors influencing SES research as a product of its time (e.g. economic collapse, teleconnected vulnerabilities) may help researchers to reflexively assess the assumptions underlying their own work. Alexander, J. 1987. ‘The Centrality of the Classics.’ In A. Giddens and J.H. Turner (eds.) Social Theory Today. Cambridge: Polity Press. Baehr, P. 2002. Founders, Classics, Canons: Modern Disputes over the Origins and Appraisal of Sociology’s Heritage. New Brunswick, New Jersey: Transaction Publishers. Foucault, M. 1980. Gordon C (ed.). Power/Knowledge: Selected Interviews and Other Writings 1972-1977. New York: Pantheon. Kuhn, T.S. 1970. The Structure of Scientific Revolutions. Chicago: University of Chicago Press. Stinchcombe, A.L. 1982. Should Sociologists Forget Their Mothers and Fathers. The American Sociologist 17(1): 2 – 11.